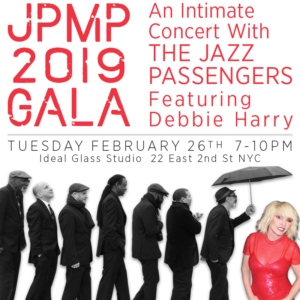 2019 Gala Press Release - Jazz Passengers Music Projects, Inc.
JAZZ PASSENGERS MUSIC PROJECTS, Inc.
January 7, 2019, New York: Blondie’s legendary singer, Debbie Harry will be the featured guest of the JAZZ PASSENGERS for the JAZZ PASSENGERS MUSIC PROJECTS, Inc. (JPMP) Gala Fundraiser. 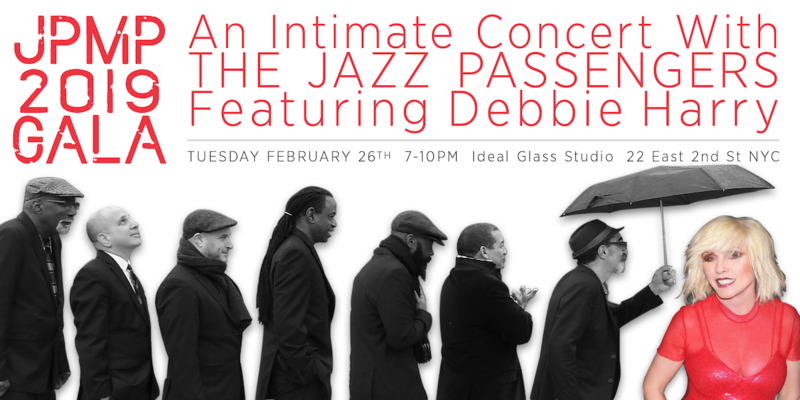 Ms. Harry will perform an intimate set of music with the Jazz Passengers at Ideal Glass Studio, 22 East Second Street, NYC, on Tuesday, February 26, 2019. 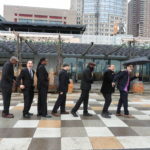 The evening begins at 7 pm, tickets will be limited to 100 people at a cost of $300 each and are available at www.jpmpinc.org/gala. The JPMP Host Committee includes performance artist and owner of Ideal Glass Studio, Willard Morgan; Josh Dorf and Jonathan Nelson, advisors to JPMP; and Johanna Murphy, SVP Consumer Marketing & Global Digital Commerce at Michael Kors. The name DEBBIE HARRY evokes many images: seminal rock-n-roll figure, complex songstress, incandescent front woman, fashion icon and environmental activist. As a vibrant global pop culture influencer, Debbie’s chart-topping success, fearless spirit and rare longevity led to an induction into the Rock & Roll Hall of Fame for Blondie in 2006, more than 40 million albums sold worldwide and acclaimed solo recording projects. She has engaged in an acting career with over 30 film and television roles to her credit. Debbie has become a national treasure, one whose influence continues to impact the worlds of music, fashion and art. With Blondie, undeniably one of the most trailblazing and influential bands of our time, she and co-founder Chris Stein brought the worlds of rock, punk, disco and ska together with “Heart of Glass” and “Call Me” and broke ground by combining hip-hop and pop on “Rapture.” As a solo artist, Nile Rodgers & Bernard Edwards co-produced Debbie’s first solo release Koo Koo in 1981 and she continued to defy expectations with such genre-busting efforts as “French Kissing in the USA,” “Rush Rush,” “Rain” and “The Jam Was Moving.”. The JAZZ PASSENGERS are a fantastical fusion of post-bop and musical comedy, once called a “perverse mainstream hard-bop group as imagined by Frank Zappa.” (Bob Blumenthal, Boston Globe, 1989). 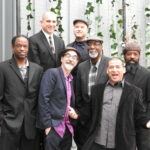 Their name, a take-off on Art Blakey’s Jazz Messengers, reveals the musicians’ wild ride along the eccentric currents in modern American music. 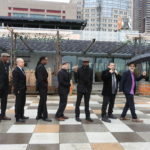 Saxophonist Roy Nathanson and trombonist Curtis Fowlkes founded the Jazz Passengers in 1987. The two musicians found strong affinity in their Brooklyn roots while playing together for the Big Apple Circus and in John Lurie’s seminal band, The Lounge Lizards. 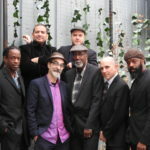 The Passengers first broke out on the New York City avant-garde scene centering around the Knitting Factory with a hybrid of Mingus-influenced dance rhythms and original tunes complete with lyrics and entertaining stories. The band celebrated their 30th anniversary in 2017 with their latest CD release “Still Life With Trouble” (Thirsty Ear). 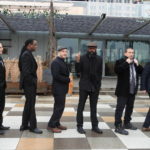 Besides Nathanson and Fowlkes the band members include Bill Ware on vibraphone, Bradley Jones on bass, Sam Bardfeld on violin and E.J. Rodriguez and Ben Perowsky on drums and percussion. JPMP projects offer educational opportunities for students not only to write original material but also to perform it in prominent, professional venues (museums, theaters, concert halls) side-by-side with their peers from other countries. Participating students are from every kind of background and sensitivity: some are at-risk with poor academic histories, others are more sophisticated or from more stable homes. Some come from backgrounds lacking economic privilege; others are from more comfortable means. Some have never experienced formal music concerts of any kind in any way; others come with music performance histories on both sides of the proscenium. Oversight and participation by working professionals ensures performances of SUBWAY MOON and HOME that impress not only the students’ grandparents but the widest music-loving public. SUBWAY MOON is a multi-week musical/video performing experience, first developed in 2007 and occurring every year since, that combines the forces of professional jazz musicians and filmmakers with high-school music students from around the world. It is designed to be 1) a public performance series including jazz, poetry, and film; and 2) an educational and field-experiential program for students from a far-reaching compass of backgrounds. The subway theme provides cultural/environmental anchor—a common ground from which students and audiences can meet across geographical boundaries. To date SUBWAY MOON has been presented in more than twenty unique venues in four countries, including the United States, France, Germany and England. The 2019 incarnation of SUBWAY MOON will be performed in May 2019 at the Abrons Arts Center of the Henry Street Settlement on Manhattan’s Lower East Side. It will feature the Jazz Passengers and students from three New York City high schools: Institute for Collaborative Education, High School for Violin and Dance, and Bronx Early College Academy. HOME is a new music performance and educational experience that builds on SUBWAY MOON’s curricular approach which focuses on the simple idea of “home” as the challenge to local and global displacement. The HOME concept began in 2006 with musician, Jazz Passengers co-founder, and New York City high-school teacher Roy Nathanson’s song by the same name. In performances, Nathanson used the song as a platform for an exploration of the personal, political and abstract realities of “home.” His improvised monologue spoke of deeply personal family events, the intertwining of family histories and myriad societal disenfranchisements. JPMP’s debut performance of HOME is planned for late 2019 or early 2020 in Puerto Rico, taking on added urgency and relevance in our current political climate. The wholesale abandonment and disenfranchisement of American citizens on their own land after hurricanes Irma and Maria left her people struggling to find new ways to understand what “home” means. JPMP teaching artists will accompany Nathanson, filmmaker Andrew Gurian and the JPMP staff will partner with Escuela Libre de Música to produce the HOME workshop. Further information about SUBWAY MOON is available at: www.SubwayMoon.com. 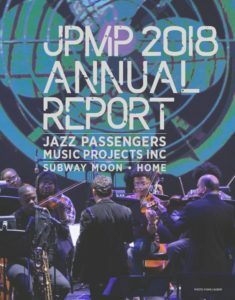 Information about HOME, and Jazz Passengers Music Projects, Inc. is available in the JPMP 2018 Annual Report at: www.JPMPinc.org. Jazz Passengers Music Projects, Inc. welcomes earthlings on a journey to strengthen and bridge communities through the transformative power of music, word and image. The JPMP Governing Board believes that creating agency and empowering intergenerational constituencies are fundamental to liberating the human spirit. We offer tools for artistic expression that aim to improve self-esteem and mass mental health. We believe that language extends to multi-sensory dynamics, and that artistic endeavors inherently embody both teaching and learning as simultaneous experience. We recognize the value of the perspective of all earthlings, of all stripes, and that enfranchising their voices affirms their worth. SUBWAY MOON is an on-going musical/video performing experience that combines the forces of professional jazz musicians and filmmakers with high-school music students from around the world. It is designed to be 1) a public performance series including jazz, poetry, and film; and 2) an educational and field-experiential program for students from a far-reaching compass of backgrounds.